Whenever we use images of word clouds for our blog posts—like the one above, based on the DiSC i-style—the posts do very well with our readers and the images are frequently shared on Pinterest. 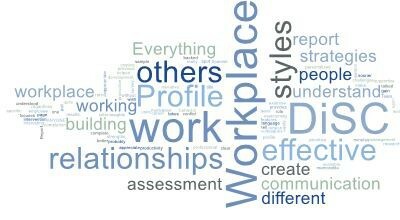 But beyond providing colorful pops to posts, word clouds can offer some practical benefits to your business. In this post, colleague Kristeen Bullwinkle and I share some of our favorite creative uses. If you’re not already creating word clouds, you’ve no doubt seen them. Also known as a tag cloud or text cloud, a word cloud is a visual representation of text that’s based on the frequency with which a particular word appears. Paste some text into a word cloud generator (available free online; see our “tips” below) and the more frequently a word appears in the source data, the bigger it appears in your word cloud. 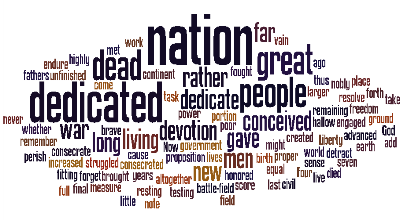 Here’s a cloud based on Lincoln’s Gettysburg Address. Though word cloud generators are not robust analytical tools, they do provide some very useful applications when you let yourself be creative. Here are four ways we put them to use. 1. Parse employee or customer feedback. 2. Check the effectiveness of your written communications. What does your newsletter really say? What does your web content focus on? What words or terms do you rely on too heavily? Dropping a few pages of content into a generator is a great way to check recurring themes or terms and to improve your writing—both in terms of clarity and style. 3. Analyze and identify SEO terms. She’s fairly happy with the results but wonders about making the “Everything” in the Everything DiSC brand stronger. She’s glad to see words like “relationships,” “assessment” and “effective” appear, knowing that these words matter to her audience. A webpage that gives an overview of DiSC, on the other hand, is rather heavy on the use of the word “DiSC.” It also appears to lack a strong central message. 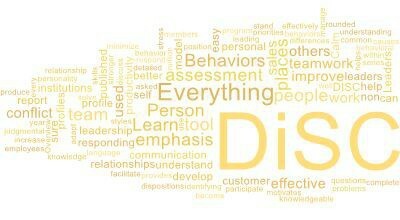 Since there aren’t any other words that dominate nearly as much, Kristeen will edit the page to reflect more of the terms she wants people to associate with DiSC. Or since this is a long page of copy, she may create another word cloud that focuses only on the first three paragraphs and headings—those most likely to be read by people visiting the page. 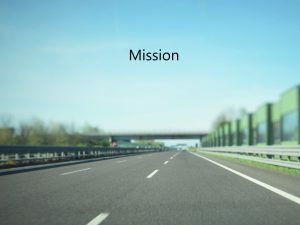 Have your team look at the cloud and ask: “What single word or phrase do you personally connect with? What resonates with you?” Let people associate freely, then share their thoughts, stories and anecdotes with each other. 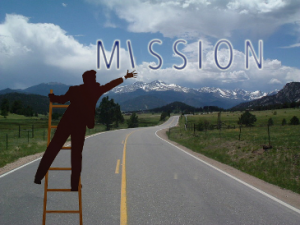 When you disassemble your mission and vision and have people respond just to words or concepts, you allow them to find their personal “points of entry.” Freed from the tendency to “memorize the mission,” teams are often surprised by what personal connections emerge. If you want two- or three-word phrases to remain together and not be sorted individually in your cloud (such as “power user,” or “very good”), hyphenate them using a tilde (“power~user,” “very~good”). In Wordle, the tilde remains invisible. Create a cloud that highlights the words you want to pop by generating custom text and repeating your key words many times. Be aware that some generators automatically save your word cloud to their gallery. Check privacy policies if that’s an issue for you. Word cloud generators vary in their ability to let you save your clouds. If there is no obvious way to export, try saving as a PDF from within the print dialogue box. Generators automatically omit small words like “it” and “the,” but most allow you to toggle that option. Have a favorite use for word clouds? Share them with us!